The double-double man from Burroughs High School in Ridgecrest, CA is a quiet hard working and extremely smart player. Last year he explored a number of national JUCO scholarships and carefully evaluated other Cal JUCO’s before decided that Antelope Valley College offered him the best opportunities in the long run. After a successful summer and early fall with AVC last year, in October he injured his elbow and was unable play for the rest of the year. Alex worked with his physician, rehabbed and now is back at practice. Some interesting observations; He has lost about 10-15 pounds and is much quicker on the floor, especially on the defensive end. He has learned the AVC system and looks to be a step ahead of many players. Alex has a nice mid-range and three ball shot and is not adverse to banging with the “bigs” for rebounds. Ludford did not drop his classes after his injury as so often happens at the JUCO level. He completed his academics successfully last year and will complete his under graduate requirements by the end of the year. A true student athlete. 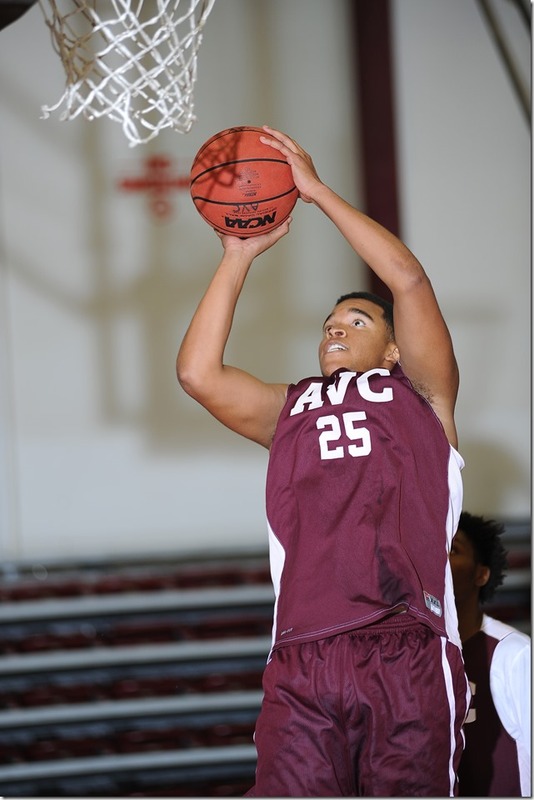 A man to watch this year at AVC. Alex decides to change direction and joins the military. Best of luck to him and he will be missed.